Dr. Kayfes received her undergraduate degree from Marquette University in Milwaukee, WI . She recieved a graduate degree in Speech Pathology and Audiology from University of Denver School of Communications, Denver, CO. Dr. Kayfes recieved her medical degree at the University of Minnesota Medical School in Minneapolis, MN. She completed her residency and internship in Diagnostic Radiology at St. Luke's Medical Center, Milwaukee, WI. Dr. Kayfes is certified by the American Board of Radiology. 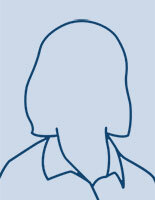 Her specialty is Diagnostic Radiology.